Bath and body gifts are a funny one at Christmas time. Maybe I’m just a snob, but to my mind there’s nothing worse than an unbranded set of bubble bath and body lotion. Get it right, though, and bath and body gifts can go down a storm. 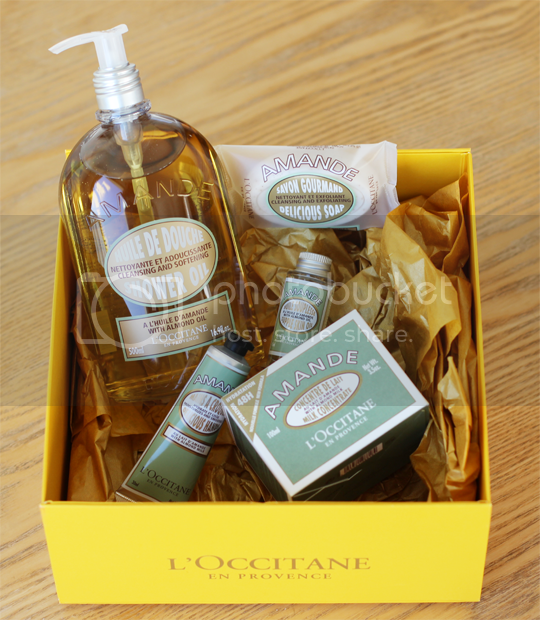 You can’t really go wrong with a brand like L’Occitane, who have a fabulous range of Christmas gifts this year which I’m certain anyone would be glad to find under the tree. 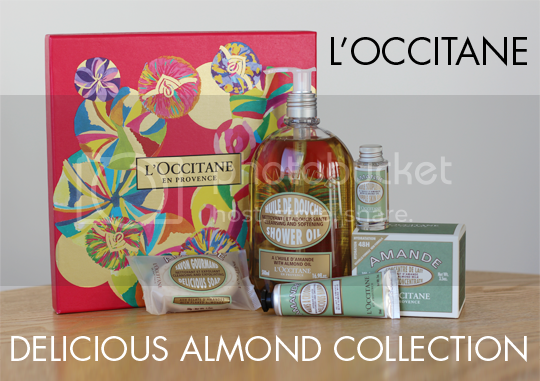 My personal favourite is the L’Occitane Delicious Almond Collection*. I don’t think I’ve ever met a blogger, or anyone for that matter, who has tried anything from L’Occitane’s almond range and not loved it. All the products are beautifully, subtly scented with almond blossom (rather than the saccharine marzipan scent that many other almond products have) and all feel like a real indulgence to use. This limited edition Christmas collection is the perfect way to get acquainted with one of the brand’s most covetable ranges. First and foremost you’ll find a generous bottle of the universally loved Almond Shower Oil (500ml). This is like, the nectar of the Gods, I swear. When it comes into contact with water, it transforms in texture to provide a lavish, silky lather that leaves your skin feeling satin-smooth. One pump of this is enough to wash your whole body, too, so it lasts for ages. After your shower, slather yourself in Almond Milk Concentrate (100ml); enriched with powerful almond extracts, this potent body moisturiser melts into the skin to hydrate skin for up to 48 hours. If you really want to go the whole shebang, decant your little vial of Supple Skin Oil (15ml) into a spray bottle and spritz it over your body for a mouth watering fragrance and unbeatable softness. This badboy is formulated with more than 50% almond oil, so it’s rich and effective while still retaining a light, fresh feeling on the skin. Let’s not forget the hands, too – stick the Almond Delicious Soap (50g) by the sink and marvel at how soft your hands become thanks to the almond oil content and crushed almond shells which gently exfoliate every time you use it. Finish off with a little squeeze of Almond Delicious Hand Cream (30ml), one of my all time favourites. L’Occitane really know how to do hand creams, and this one is second to none. 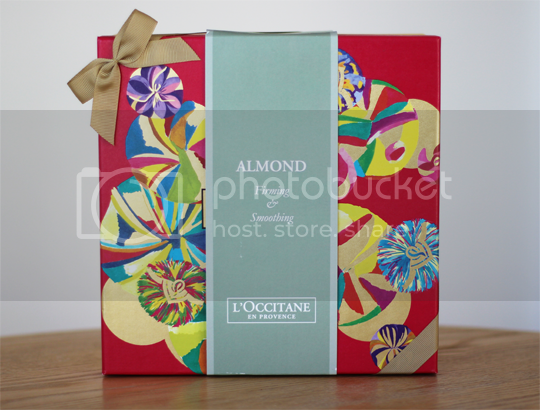 All in all, the L’Occitane Delicious Almond Collection is a pretty fabulous gift for anyone and a good saving too, coming in at £49.50 which is nearly £20 less than it would cost to buy the contents separately. You can pick it up in L’Occitane stores or online.